Should You Practice Forex Trading using a Demo Trading Account ? Should you practice forex trading using a demo account? This is a question often posed to traders of all levels, but particularly to newer traders. While you cannot replicate the experience you receive from trading real capital, there are several benefits you can garner from practicing paper trading in the forex market. Many of us play sports, and have done so as a child and continue to into our adulthood. And as athletes will attest to, most of the time out on the field or on the court is spent practicing. In fact, 80% or more of the time playing is spent on the practice field, attempting to perfect the process that will eventually hone the necessary skills for the real game. This scenario plays out in all-types of athletics, as well as in business across the globe. Can you imagine a high-profile lawyer refusing to practice his closing argument without using a mock jury? For those of us that trade the forex markets, we have the luxury of a practice mechanism using real-time data and analysis to test, refine, and improve our strategies. Setting up a forex paper trading account is quite straightforward and generally requires that you are willing to provide some basic personal information. 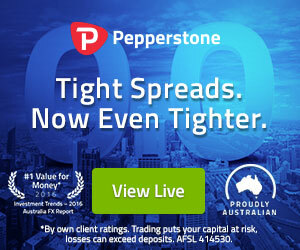 Most forex dealers, will provide you with a free fx broker practice account, so that you can test drive their platform. Brokers know that when you become comfortable enough with it, that you may eventually signup for a live account with them. Obviously, the best way for them to achieve this is to provide a demonstration account and trading platform that is nearly identical to a real trading account. A virtual fx trading platform, provides you with a practice forex trading mechanism, that is easy to use and in many cases, does not require any monetary outlay. When you open a fx practice account, you receive virtual dollars which can be used to gauge your trading performance. With these types of accounts, you can practice trading forex, without losing real capital. Several brokers provide clients with unlimited virtual funds, which allows you to use a practice trading account, without feeling the pressure of needing to switch over to a real account. Some forex broker practice accounts never expire. There are also currency trading practice accounts that offer multiple platforms including a downloadable platform, a web based platform and even mobile practice trading accounts. 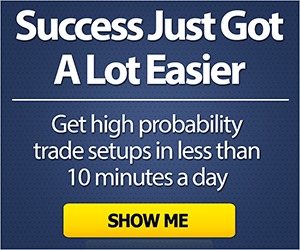 You can even practice forex trading using a using a binary options demo account. What is Paper Trading ? Paper trading in the process of trading an account, without risking “real” capital. A forex paper trading account, allows you to place virtual trades that mimic a real time environment, and determine the accuracy and efficiency of your strategy. Real-time paper trading can be extremely helpful especially if your strategy relies on specific market conditions to be efficient. For example, if you are a day trader that generates revenue from scalping the market, you might find that when you try to employ your strategy in real-time, it does not perform as well as when you back-tested your strategy. This could occur for several reasons including that your back-tested results were based on open-close only data points as opposed to real-time tick data. If your back-testing module does not have real-time tick data, which includes every transaction captured by a data provider, then the results that you experience in real-time might be noticeably different from your paper trading results. Back testing a trading strategy is a process that you can use to see if your strategy has made money in the past based on historical data. But remember past results are not a guarantee of future gains. However, back-testing can provide you with confidence that your strategy has merit. The longer your testing period, the more reliable the results. Additionally, a paper trading strategy that is based on daily or weekly changes in the value of a currency pair is more likely to be replicated in real-time, then a strategy that is based on changes to tick data. This is because tick data can be unreliable and sporadic. A back-test evaluates the profitability of a trading strategy based on historical data. While back-testing a trading-strategy is a great way to generate confidence and find a strategy that works in the past, it is very important to also see if the strategy will continue to work in the future. Forex paper trading can help you avoid some back-testing pitfalls such as curve fitting and over optimization. There are a few assumptions that you should consider when you are back-testing a trading strategy, and attempting to determine if the strategy will work moving forward. First, you want to make sure that your criteria is tested over a broad period as opposed to a limited, specific period. If you design your criteria to only find trades during a year when the market was heading south, then you have targeted a period that is not broad enough to take into account different market situations, rendering your strategy vulnerable during times when a downtrend does not exist. This type of selection bias can be eliminated by back-testing over multiple periods and then paper trading in a real-time environment. Another factor that should be analyzed when evaluating a back tested trading strategy is slippage. Slippage describes the difference between the estimated transaction price and the amount paid for a specific security. Most of us experience slippage when we attempt to stop out of a position when the market is volatile. For example, we may hold a long position and place a stop loss at 1.2010 but our broker stops us out at 1.2005, causing 5 pips of slippage. So there will be instances when a trader does not transact at the exact price generated by the strategy, which needs to be incorporated into the profit and loss calculations. For example, a system might be tested and look successful on certain exotic currency pairs, but when a trader attempts to purchase these same currency pairs in live trading, the bid/offer spread might eat up a significant portion of the potential profits. If the liquidity of an asset is weak, the back tested trading strategy needs to incorporate this issue into the profit and loss generated from the back test. Using a virtual trading platform to paper trade can help spot these types of instances. Once you have back-tested your results, you can see if they work in real-time. Slippage can be harmful to your strategy if you are attempting to generate small gains from many transactions. So, if you are only trying to make 10 pips from each trade, and you initially account for 2-pips of slippage, but you find out that your strategy averages 5-pips of slippage, then you will most likely need to go back to the drawing board. Many novice traders forget that you can experience slippage on your entry and exit. You need to incorporate this information into your back-test, but if you forget to do this, a paper trading routine should bring this information to light. As opposed to slippage costs, commission costs are the fees charged by your broker and the clearing house. Most forex brokers do no charge a specific commission, but instead factor that cost into their bid offer spread. This spread, is the difference between where a market maker is willing to purchase a currency pair, relative to where they are willing to sell a currency pair. The bid-ask disparity needs to be incorporated into your back-testing results, otherwise, without factoring this in, you will be underestimating the actual cost of trading your strategy. One of the issues of trading a currency pair around the clock is that the liquidity can vary from one time zone to another. Most major currency pairs see their best liquidity during the European/American time zone overlap. The Yen and Australian dollar will experience robust liquidity during Asian hours, while the Canadian dollar will see strong liquidity during the North American hours. When you are back testing your strategy, you should be cognizant of these tendencies. There are some forex brokers that provide back-testing software. Typically, to use the software, you need to provide them with some basic personal information, and then they will allow you to download the software and perform back tests using their data. Some may even allow you to upload your own historical data. You can also attempt to back-test a trading strategy using excel or a paid service. You should analyze the data you use carefully to ensure that the quality is acceptable. This is especially important if you are day trading. Forex data can be “dirty” and in many instances, it needs to be cleaned and filtered. This means that bad data points could be prevalent throughout your time series, and if your strategy is looking for quick spikes or drops, then the data might generate inaccurate testing results. Another step you want to take when running a back test on a strategy is to perform in sample and out of sample testing. This helps reduce curve fitting and allows you to generate a trading strategy that is robust and more likely to perform in varying market environments. An example of in sample and out of sample testing would be to pick a 10-year period to back test your results. You can start by using the 4-middle years to back-test and determine if the strategy works well. Your next step would be to test the strategy on the first 3-years, and if that is successful, you would then test the strategy on the last 3-years. In each case, you would want the results to look similar. You would prefer to see, that the win to loss ratio is correlated, along with the amount that you win or lose or average. You also want to make sure that the equity curves and drawdown numbers are relatively stable over each testing period. If the strategy works in all-three periods, you can then move on to forward testing using a virtual account. Forward testing allows you to further bolster your backtested results by applying it in a real-time environment and evaluating the performance of the system without risking real capital. The forward test allows you to evaluate your backtested results going forward into the future after the back test is complete. One of the benefits of forward testing on a virtual account is that it will help you determine whether your strategy has merit using forward data. When you analyze your strategy, you need to be honest with yourself. You should look at the trades in aggregate and not cherry pick trades to determine if your process works as intended. In addition, if a trade occurred in a forward test environment, that is abnormal or unexpected, it should not immediately be discarded, if at all. Instead you must analyze that data point carefully and determine if additional tweaks may be needed in your strategy to compensate for similar risk occurrences in the future. One issue that can occur which can affect the accuracy of your results are spikes in real-time data. This may produce transactions at a level that is unrealistic. Be sure to monitor your paper trading, and do a post analysis on your trades to see if the forward tests are being accurate reflected. Whether you are using a systematic approach or a discretionary approach, paper trading will help you discover any pitfalls in your methodology or processes. If you are using technical analysis, a paper trading approach will test your decision-making processes similar to a real capital trading environment. You will be making decisions about your entry and exit levels in real time, and practicing these techniques to see if they are working as intended. For example, one common question you will face is whether you should wait for a bar to close to generate a transaction, or trade prior to the close of the bar. Many times, break outs or break downs, occur, only to reverse later in the trading session. The technical analysis studies that you plan to use might look different in real-time, as compared to after a bar closes. You will need to address and make decisions around these matters. One important facet that a virtual account does not always address is the use of margin and margin calls. A margin call is a situation where the real funds that you have in your account falls below the required minimum set by your broker to cover your open positions. Most of the time, if you cannot add funds to your real capital account, you will need to exit some of your positions or they will be liquidated automatically. In fact, most brokers tell you that they have the right to liquidate your position at their discretion if there is a margin call that you cannot fund. Using a paper trading account is a viable way to test out new and existing strategies. Just as if you were practicing sports, you can try out new techniques and see how they perform in real-time. Most brokers offer demonstration accounts, that have unlimited virtual funds, and provide access to their trading platform including downloaded platforms, web based platforms and mobile platforms. A virtual account can help expose many of the inaccurate assumptions you might have made that were not captured by “in and out” of sample testing. If you are trading a discretionary account, a real-time demo account will provide you with specific circumstances that you might not normally see, and allow you to test your trading skill, along with your ability to implement your techniques.